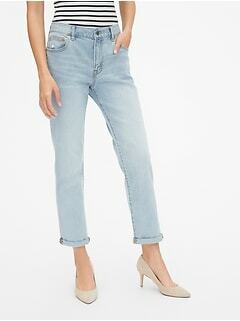 Find a full selection of girlfriend jeans at Gap. 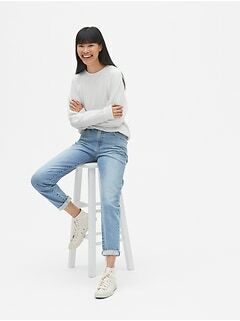 Explore the newest arrivals at Gap today to complete your wardrobe with the latest lineup of cuffed jeans. 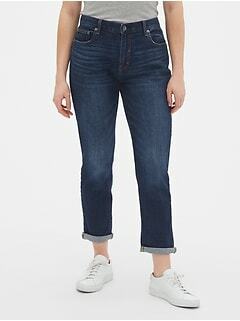 Choose from denim options in a vibrant variety of washes, from versatile light wash jeans to dark washes that elevate your everyday looks, along with a great selection of colored denim. Enjoy easy wash and wear maintenance with these stylish silhouettes. They are finished with eye-catching accents such as distressed detailing, metallic hardware, and tonal graphic prints, which add a new depth of visual interest to your favorite outfits. 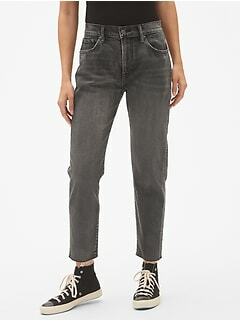 The jeans in this curated collection are made with a specially designed cut to provide a relaxed fit while still offering your aesthetic a sleek and streamlined profile. 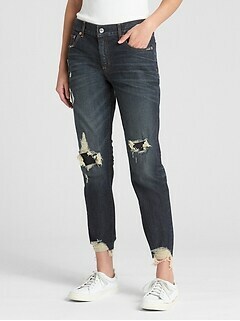 Discover the impact that the right pair of rolled up jeans can make on your wardrobe with the great new selection at Gap. 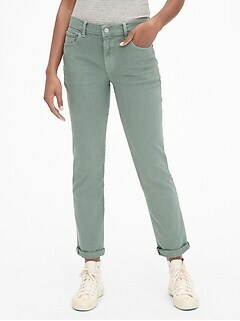 Gap is your destination for the best slim boyfriend jeans, mid rise jeans, and colored denim showing off a cuffed look. 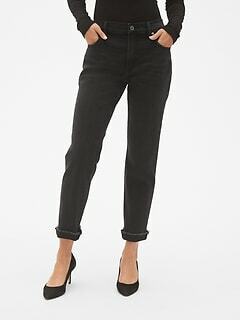 Dress these chic denim options up or down to create a dynamic rotation of possibilities from the workplace to the weekend. 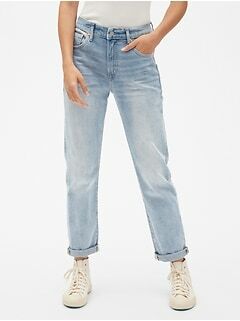 Style cuffed denim with a sleeveless peplum top or cute cami to get an effortlessly put together look that's perfect for enjoying good times with great people. Choose a pair of wedges to add height and drama to this easy everyday look, or go for comfort by opting for a pair of canvas sneakers. 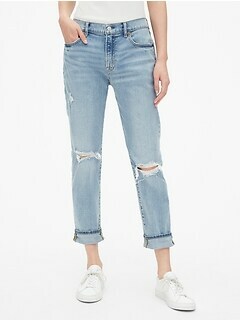 Cuffed denim also works well with more polished looks, such as an embellished top with flowing ruffles and fun fringe. Layer a lightweight blazer over this combination to create a casual Friday ensemble that feels fully professional. 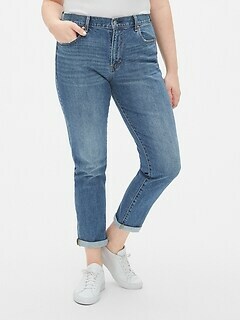 Jeans with a printed pattern can make an understated yet unmistakable mark on your overall aesthetic. 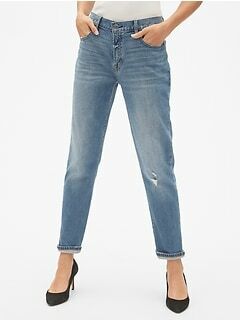 Just pair these jeans with a simple top in white to play it safe, or go for added flair by choosing a top with a more prominent shade such as cobalt blue or poppy red. 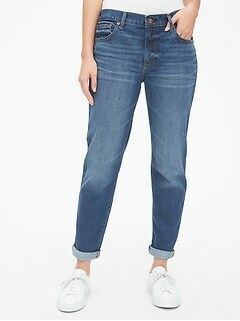 The options are almost unlimited with cuffed jeans for women at Gap.